You can earn a few different kinds of Minecraft badges. 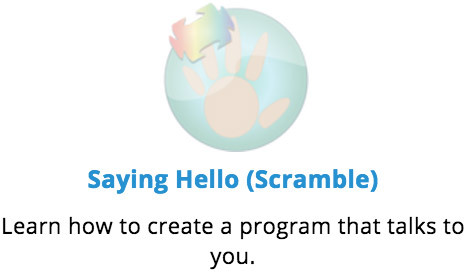 Here, you find out how to earn Scramble badges, which are different from the other types: All the code blocks you need are already in the programming area — they’re just scrambled around on the screen in an animation. 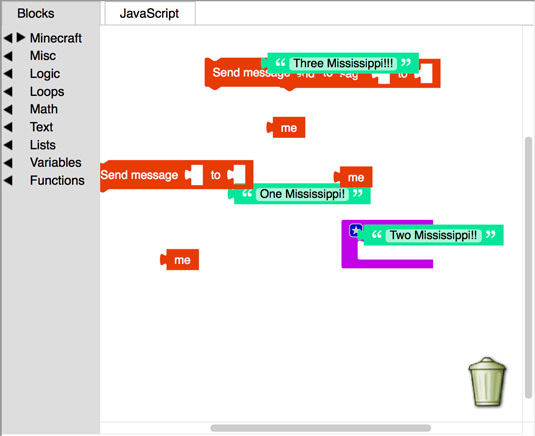 Gather together all blocks that have been scrambled on the screen, by dragging them near each other. 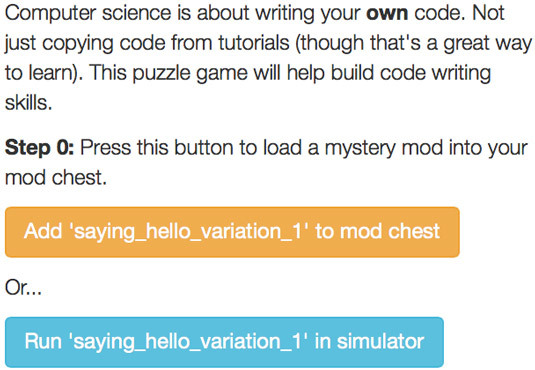 Unscramble the blocks, and test your mod to see whether it matches the correct version that you test in Step 1 of this list. To find all the blocks you need in order to complete the badge (sometimes, the blocks that have been scrambled are offscreen), you move around by using the scroll bars on the right side and bottom of the programming environment. Open the Saying Hello (Scramble) challenge by clicking on the badge. You see ten blocks scrambled on the screen. 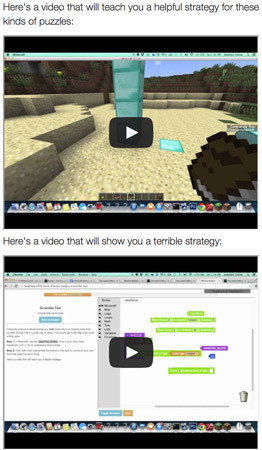 Click the blue Test button to test the correct version in Minecraft, or click the orange Test button to test the correct version in the simulator. Then observe what happens. Gather the ten blocks and begin to arrange them in such a way that when you run the mod, it does exactly the same thing that the correct version did. Test your mod in Minecraft or the simulator to see whether it has the same effect as the correct version. If it doesn’t, edit the blocks arrangement and test again. Continue this edit-test cycle until you have put together the correct arrangement of blocks. If you were told, “Go to your shoes and put on your room,” you probably would figure out that what you should do is go to your room and put on your shoes. If you told a computer, “Go to your shoes and put on your room,” the computer would literally go to its shoes and then try to put on its room, which is impossible, so it would probably display an error message. You must be precise when you write code, and — more ­importantly — you should test your code often and in small increments to catch mistakes. At the bottom of any Scramble challenge are two videos that you can watch to see strategies for completing this type of badge. Though the videos aren’t specific to each challenge, watching them can help you with any badge that asks you to unscramble code.